A paper in Tucson, I assume a Gannet paper, has posted the LABR AL results. A quick perusal reveals that Tom Trudeau, from Bloomberg News, appears to have overpaid for nearly every dude on his team. Oh, you can argue a few cases, but my prediction is that this is a last place team, unless the thousands of Saves points saves him. One of the ultimate oddball formats: 20 teams, Mixed, Draft, Yahoo Rules. I came in third in year one, and have been near or in the basement ever since. I can say that this is one of the smartest groups of players I know. So this list may be of help, if you draft 5×5. I joined a new high-stakes 5×5 AL only auction league this year. Some of the prize money is put up by a poker education site, cardrunners.com, and some by the participants, who are a mix of fantasy experts, professional poker players, and financial pros. There are only 10 teams, but you can spend your money on all 28 of your rosterable players (you don’t have to, there is a draft when all teams are out of money). This changes the endgame some, as Rotowire’s Chris Liss notes in his post at Rotosynthesis (where he also posted the draft results). Another wrinkle is that you can buy NL players. I spent some time trying to figure out what Adrian Gonzalez would be worth, and considered throwing him out early, but someone (I don’t remember who) beat me to it. My back of the envelope calculation was that a 50/50 chance for half a season of Gonzalez was worth a blank $8, though that calculation would change as the auction progressed. As teams recognize their strengths and weaknesses it might make sense to bid more for the high risk play. The gambit of coming out early could mean a bargain. In fact, I bumped a $3 bid to $4 and Daniel Dobish, Dave Gonos’ partner, muttering “I’m not letting him go to someone for free,” bid $7 and won him. Not a huge risk, but a nick in his budget he’ll feel if Gonzalez doesn’t come over. There was a similar calculation in my most uncharacteristic moment in the auction. After adjusting my prices for the smaller league I was pleased in nearly every case but one (there was also a blip in the late early part of the auction where the price of outfielders who steal, namely Ichiro and Denard, went for scandalously low prices) that they were accurately describing the action. The difference came with the catchers, where huge draft inflation persisted all night. The action players, at least the guys who won the high-priced catchers through most of the auction, were the non-experts. They took Mauer to $40 and Victor Martinez to $35, and Napoli and Suzuki to $18. Even at the low end, guys I had listed for $2 were going for $5. Matt Wieters name was called fairly late, but there was still plenty of money around. His price surged past my $16 bid limit, but I had money to spend and when the bidding slowed at $20 I bid $21 and won the sophomore backstop. The move effectively changed my team from Nolan Reimhold and two scrub catchers to Wieters, Jose Guillen and a scrub who turned out to be Brayan Pena. I don’t remember who had the penultimate bid on Wieters, but if it was one of the Cardrunners boys my brash reach means I wrecked the purity of a position-scarcity experiment, with the so-called experts buying cheap catchers and the so-called amateurs buying the pricey ones. All of them, as noted before, were inflated. This morning I ran the projected stats of all the teams using the CHONE projections, mostly because I have Chone Figgins on my team. The key is to avoid testing your team using your own projections, since they naturally flavor the players you pick up. I don’t want to give up any competitive edge this exercise offers in its details, but I’m delighted to share for posterity the final standings, which surely won’t look anything like this next October. Since these include active rosters and reserves, and NLers Gonzalez and Ricky Nolasco, and Chone’s projections are generous with the playing time, upping the value here of guys who may not even play, they should be taken with a grain of salt. But they’re a start while we wait for games that matter. Is your auctioneer a joke? Evan Gallahou is a standup comic looking for gigs as a fantasy baseball auctioneer. I’m not kidding! The following clip starts with a baseball joke, but it was the bit about the weather broadcaster at the end that made me think Evan might be a really good auctioneer. Sunday night we held the seventh annual Rotoman’s Regulars League draft. The league is a 20 team Yahoo 5×5 league. Rosters are 20 deep (four reserves), so 400 players are taken. This is a very tough league with very smart, tough competition, both in the draft and all season long. And the all season long part is crucial. Though the league has weekly waiver claims it has daily ups and downs, so maximizing one’s reserve list and streaming players and pitchers on off days is essential. I made a respectable showing the first year, but each subsequent year things got worse until I decided to take a break. I hate sucking. This year I decided to return. I missed the guys and in spite of my suckiness at it, I like the format a lot. 1. Miguel Cabrera (1B): The seventh pick overall comes after the big boys, but before you can legitimately go after someone like Mauer or Lincecum. I mean, you could, but it doesn’t feel right. So, I went after the guy I think is the best of the big boys who isn’t a big boy. 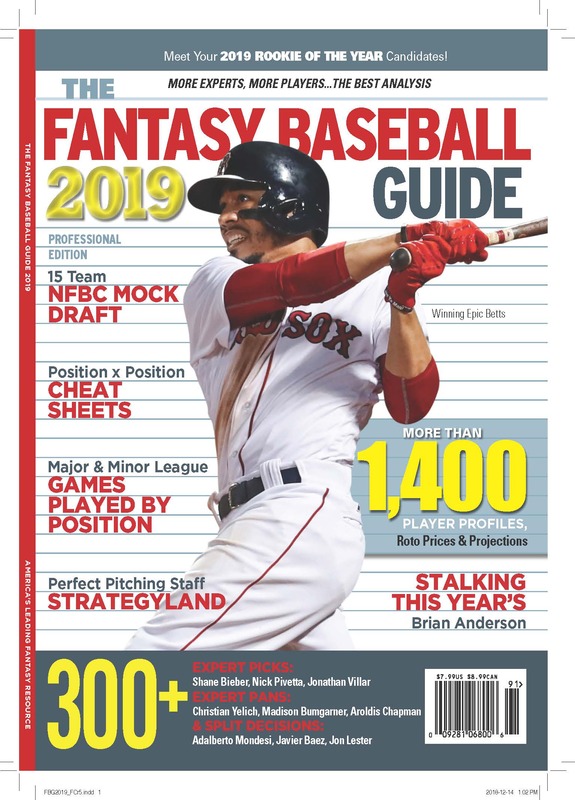 He’s the right age, he’ll be helped having Johnny Damon hitting ahead of him (but maybe not Austin Jackson), and he has a lot to live down after last year’s disgraceful exit. 2. Pablo Sandoval (3B): Waiting 26 picks for a second guy is frustrating. All the obvious names went off the board. I didn’t want an outfielder and I don’t trust Mark Reynolds or Ben Zobrist at this point, and I had a first baseman already. So, it was Sandoval for me. He’s young, so maybe there’s upside, but he plays on a crappy team offensively in a bad ballpark for hitting, so he’s risky, too. 3. Brian Roberts (2B): I was glad he was around. I wanted a middle infielder who ran. What I didn’t want was a guy who’d had his first workout of the spring hours before because of a bad disk in his back. I’d read about his problems earlier in February, but somehow missed the reports of escalating malady. If I’d known I would have taken the aging statesman, Derek Jeter. Roberts says he’ll be okay, so there’s that, but players aren’t doctors. My fingers are crossed. And I took a 2B in the reserve rounds, just in case. 4. Denard Span (OF): Okay, time for an outfielder, because there were no appropriate shortstops or corners. I added three to my queue: Andre Ethier, Andrew McCutcheon, and Denard Span. All three were available as my turn approached, but then they went down on order: McCutcheon, Ethier, and–on my turn–Span. The guy I missed was Hunter Pence, who I like a tick better, but the reality is that I like Span more than most, and I got him.